The South Florida Sun Sentinel has reported that the family of an 18-year-old boy who was killed last year in a fiery Tesla crash has filed a wrongful death lawsuit against the car manufacturer and one of its Broward County employees. The lawsuit alleges that the car was defective and that the worker negligently disabled a device installed to limit the vehicle’s speed to 85 mph. The lawsuit also alleges that the car had a defective battery that was prone to catch on fire, which has been occurring in Teslas all over the world. The boy, who was the front seat passenger, and the teen driver of the car were both killed after the car crashed into a concrete wall at a speed of 116 mph and subsequently burst into flames. Both teens were high school seniors who were just weeks from graduating. A Tesla spokeswoman responded to the lawsuit by alleging that no car, regardless of the manufacturer, could have withstood a crash at such a high speed. However, the spokeswoman also said that Tesla has introduced a speed-limiting feature in response to the crash. Who is Liable For This Type of Tragedy? Generally speaking, a company is responsible for the products it places on the market for consumers to purchase and utilize. Everything from televisions to furniture to cars constitute products. And if you or a loved one is harmed as the result of a defective design or manufacturing defect in a product, the company who placed the product into the marketplace will likely be held responsible. Similarly, an individual can be held liable for his negligent behavior even if he did not place the product in the marketplace. This is why the boy’s family is also suing the employee, who removed the speed-limiting device the teen driver’s parents had installed and failed to disclose that he had done so. What Should I Do if My Loved One is Injured? Initially, obtain whatever medical care is needed after the incident that causes the injuries. Afterward, contact an experienced product liability attorney who can help ensure that you and your loved one are able to get compensated for the injuries and hold the responsible parties accountable. How Long Do I Have to Begin a Lawsuit Under Florida Law? 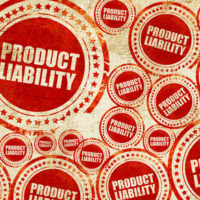 You typically have up to four years to bring a claim for a product liability lawsuit under Florida law. If the injured party has died from the injuries incurred from the product, then the time to bring a claim for wrongful death is limited to two years. Dealing with an injury from a product you believed was safe is very difficult and emotionally trying. However, obtaining compensation from the responsible parties should not have to be. The Fort Lauderdale products liability attorneys at The Pendas Law Firm can help ensure that you recover the maximum compensation that you are entitled to while you focus on recovery. Contact us today to schedule a free initial consultation. The Pendas Law Firm also represents clients in the Fort Lauderdale, Miami, Jacksonville, Tampa, Daytona and Bradenton areas.